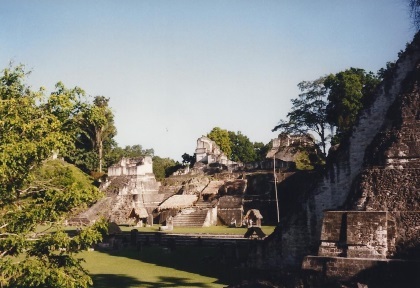 Tikal National Park holds one of the most important archaeological findplaces in the world. 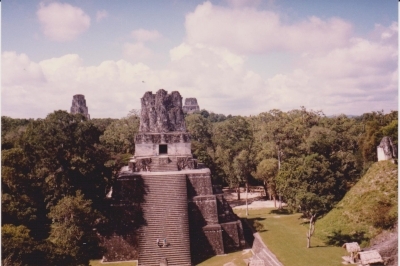 In the jungle of Tikal, archaeologists discovered more than 3000 pre-Columbian monuments. Among them are palaces, temples, houses, streets and balplaygrounds. The city was probably inhabited between 600 BC and 900 AD. At its height from 700 AD to 800 AD the city supported a population of 90,000 Mayan Indians. They had made the transition from hunters to farmers: excavations have yielded remains of cotton, tobacco, beans, pumpkins, peppers and many fruits. 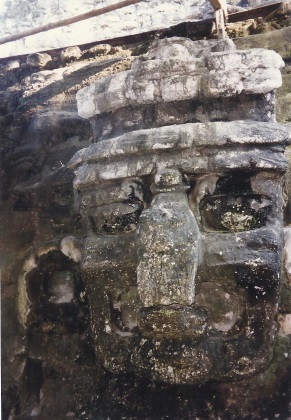 The natural surroundings of Tikal are also rewarded by this inscription. In the 22,100 ha rain forest several animal species have their home: among them howler monkeys, anteaters, crocodiles, racoons, skunks, weasels and various birds. 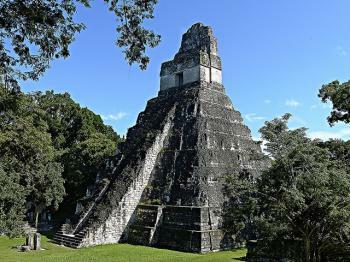 They call it jungle, but Tikal nowadays is a well-developed natural park that daily caters to lots of tourists. Actually too much park and conservation to my taste. I visited this WHS in December 2015. I drove from Palenque to Tikal by car through the El Ceibo border. Tikal is definitely Guatemala's highlight and one of the best WHS I've visited so far. The rainforest environment is still intact although the central plaza has been cleared. However, 'VIP service' buses/vans should not be allowed inside the historical area proper as is currently done from the back roads for the older wealthy tourists. However, apart from this practice, the main ruins are spectacular as are the minor ones still full of scrub and overcome by the jungle. 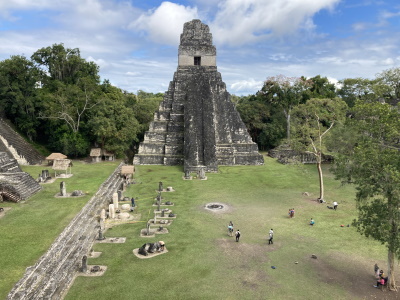 Tikal is the best preserved example of an ancient Mayan city. Climbing is prohibited mainly on Temple I although access to the other main temple structures is gained by climbing wooden stairs on the back of the structures. As always, birdlife and fauna is most 'active' at sunrise/sunset. It's worth staying at least 2-3 days to be able to enjoy the park at different times of the day. The sunrise hype can easily be skipped as it's the only time when the site is really packed and since it is frequently misty, there is nothing you'd miss if instead you stay in the lodge in the national park (except the crowds and the early wake up call at 03:30!). Tikal was a highlight of my 2-week stay in Guatemala. Before I left for Guatemala, I saw a travel program on TV about pyramids and it stated that the pyramids at Tikal were superior to those in Egypt. Since I haven't been to Egypt, I can't say I agree or disagree. The view from Temple IV is amazing. I also enjoyed the walk through the jungle in order to get to the North Acropolis. I was delighted by the spider monkeys and toucans! Foreigner prices: Locals Q 25.00, foreigners pay Q 150.00.